On top of our in-house design at KEEN Print & Sign, we partner with our sister company KEEN Creative to provide you with a super team of talent. Through conversation and discovery with your team, we work together to carefully craft the best design for your business needs. Our experienced designers create full visual identities that are able to be applied in a variety of marketing materials for a variety of business settings. Whether you’re looking for a vehicle decal, banner stand or trade show booth, KEEN Print & Sign can customize any design to suit your business. 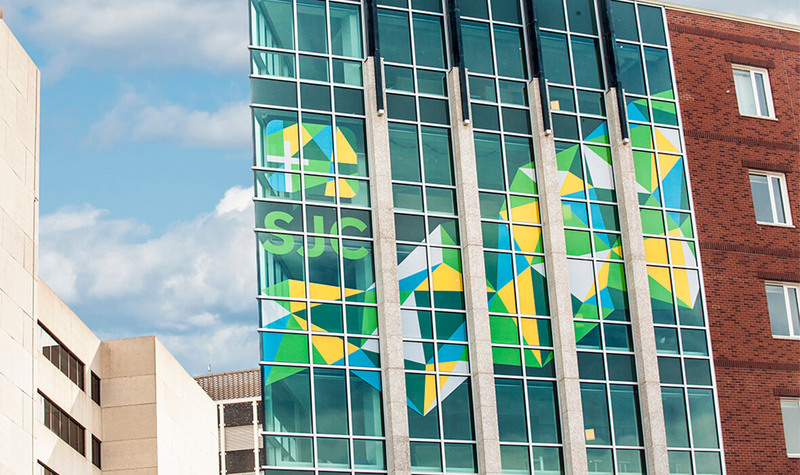 Working with our sister company KEEN Creative, we produced and install various graphics around the University of Alberta to help St. Joseph's College launch their newly developed brand. With unique designs, high impact colours, engaging messaging, and varying applications, it was a great success for the College.